Irish Music Crossword Puzzle: Challenge Your Knowledge of Irish Music! Irish Music Crossword Puzzle: Test Your Knowledge of Irish Music! 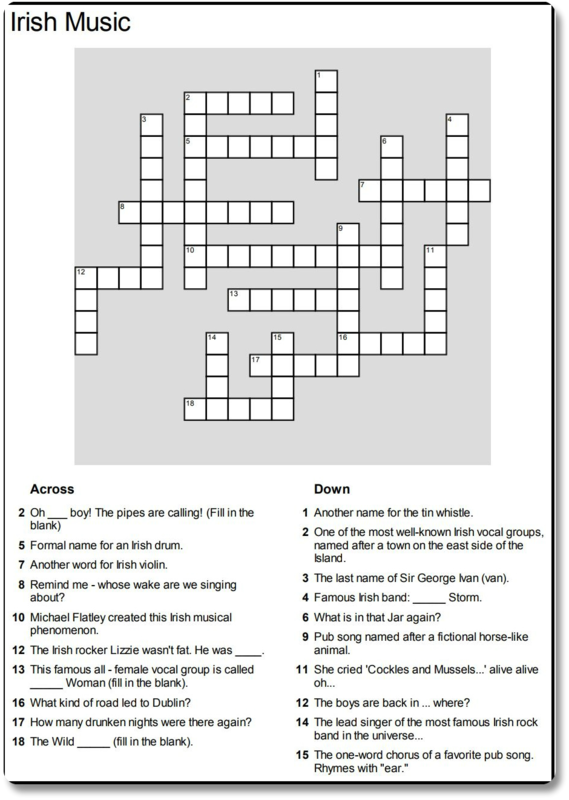 Want a fun Irish Music crossword puzzle to check your knowledge, or add a special challenge to your next Irish-themed occasion? Brief, yet challenging, this puzzle will give you 20 clues, covering Irish music celebrities, songs and instruments. Want to give it a try? Just tell us where to send it! If you have already enjoyed our section on Irish trivia traditions, you have probably been exposed to many of the most entertaining ways to express your personal Irish side!